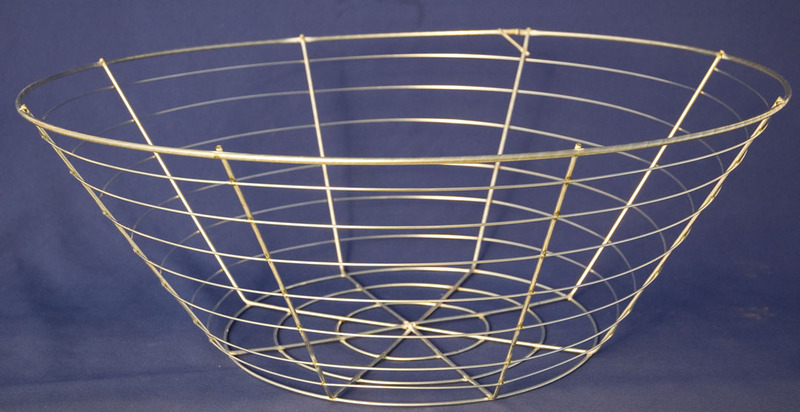 Home > WIRE HANGING BASKETS - WIRE BALLS - WIRE SPHERES - WIRE BALLS > Wire hanging basket 24"
Heavy duty basic galvanized hanging wire basket. 9" deep. This multiple welds planter comes with four strand chain hanger topped off with heavy duty "S" type hook.